Unique TurboStar teconology for healthier frying. Suitable for frying, baking, grilling and roasting. Removable QuickClean basket with non-stick mesh and the basket is dishwasher safe for easy cleaning. Adjustable temperature: 80°C to 200°C. 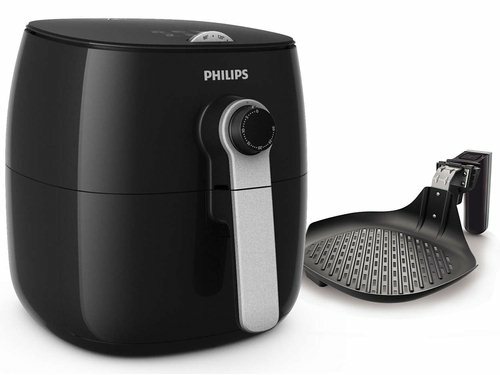 Air fryer food recipes included.